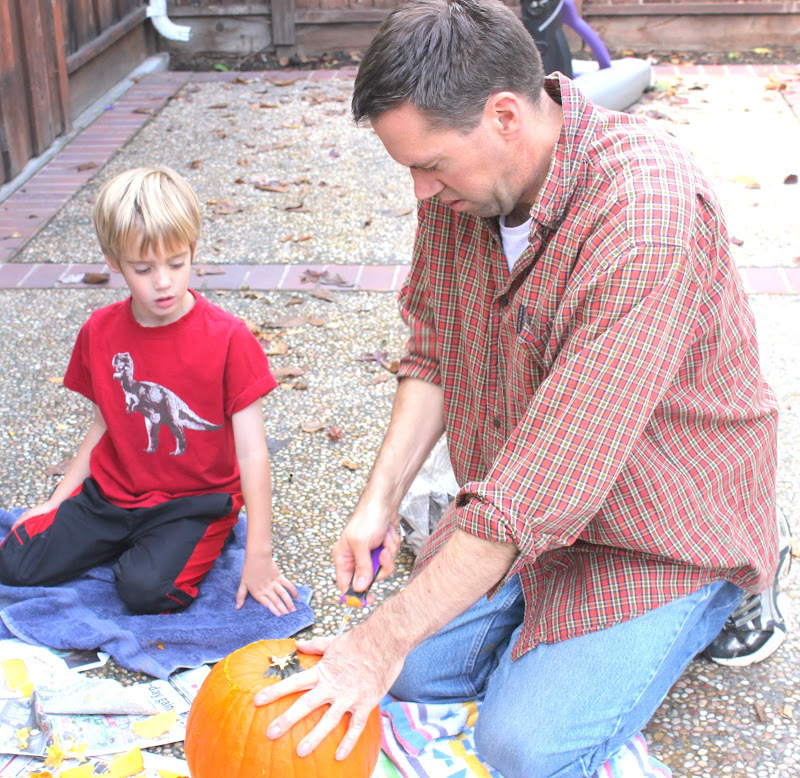 California Family Living: Pumpkins and More. . . 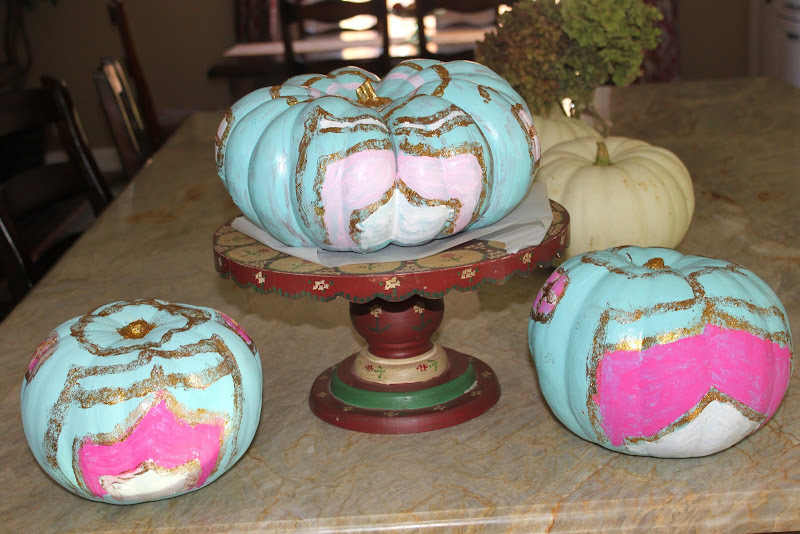 Cute Kate came over to make Cinderella pumpkins with us. 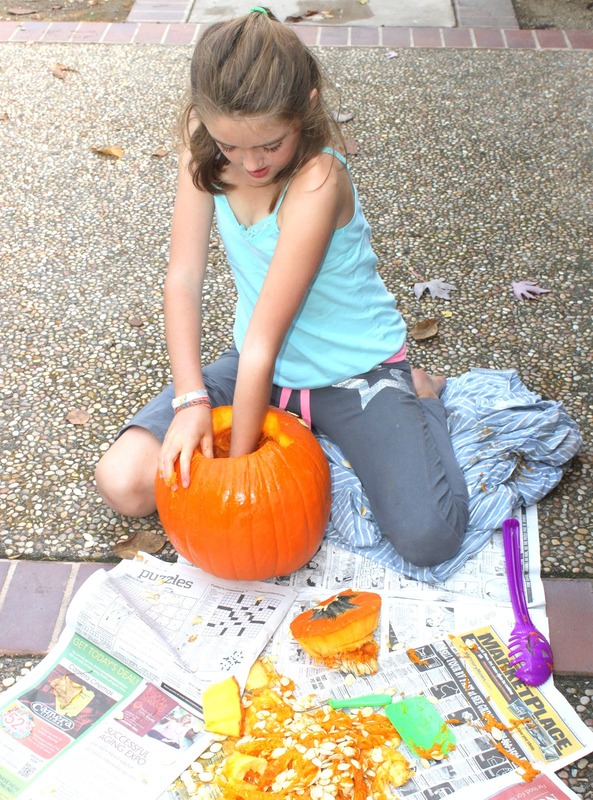 The girls were working so hard getting everything just right. 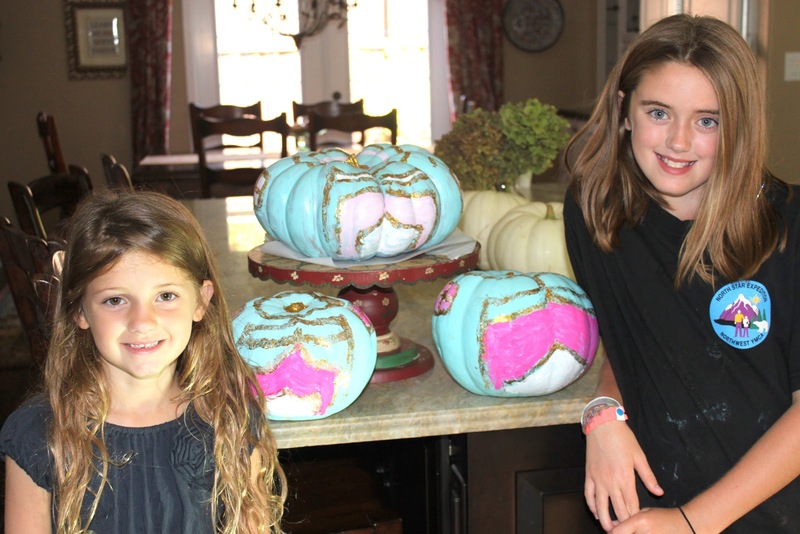 Such sweet girls with their pumpkins. 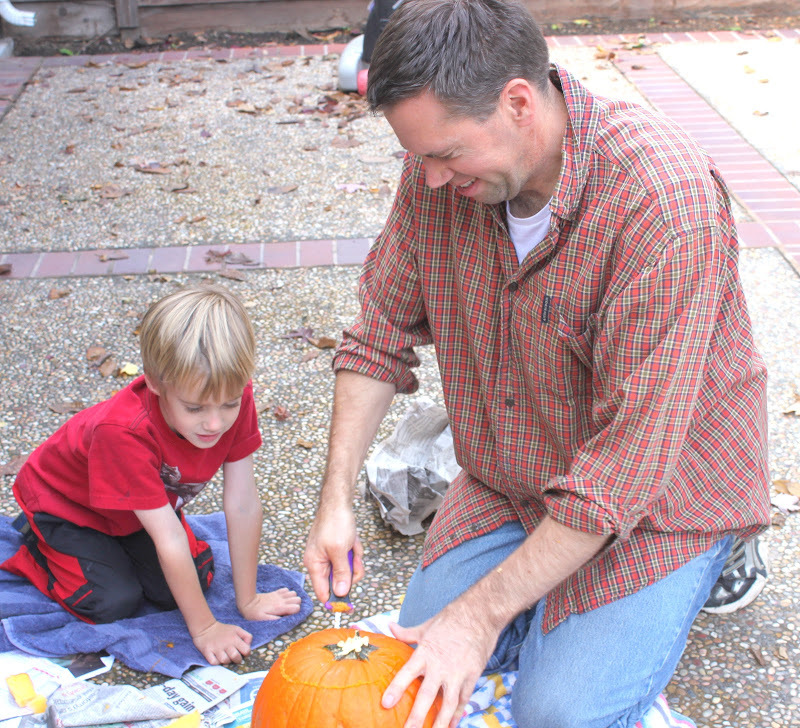 We needed to hurry and get our pumpkin carving done in between Steve's whirlwind trips around the world. Steve had one day home before he left on his next adventure to Australia, so he quickly got to work with the kids. 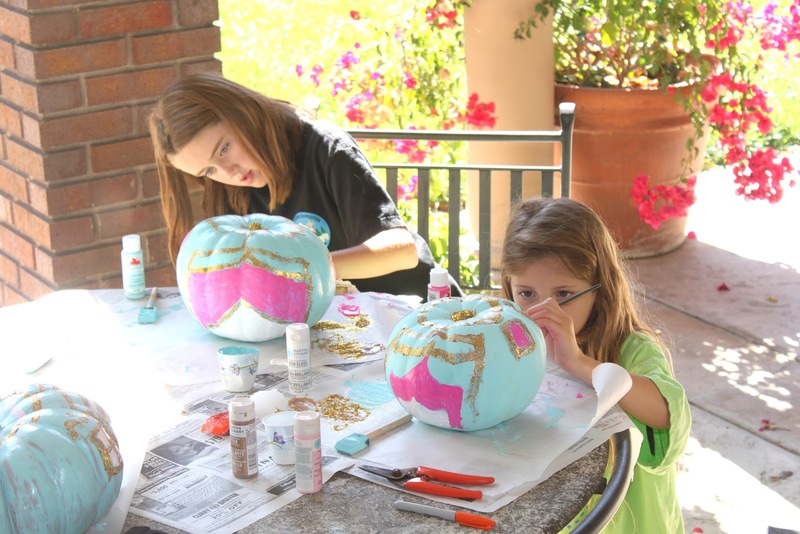 We did not get a picture of Chelsea's finished pumpkin (or I can't find it at the moment). 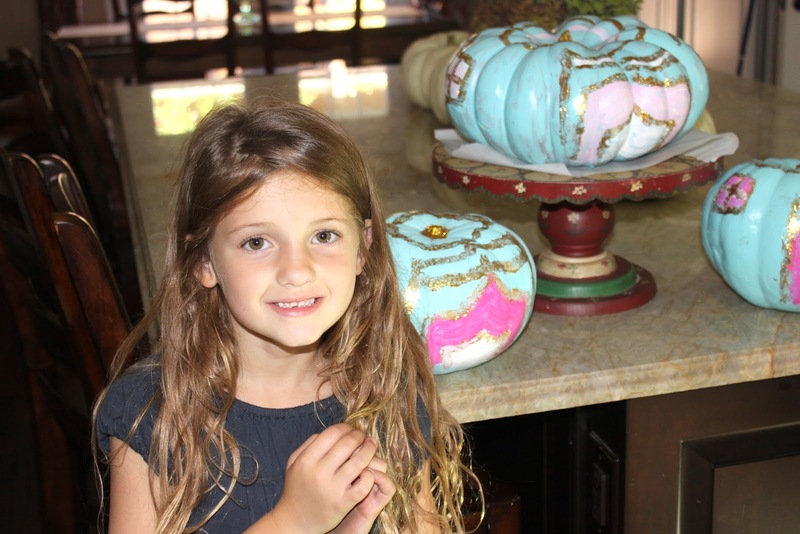 Her pumpkin was a tribute to the San Francisco Giants!!! 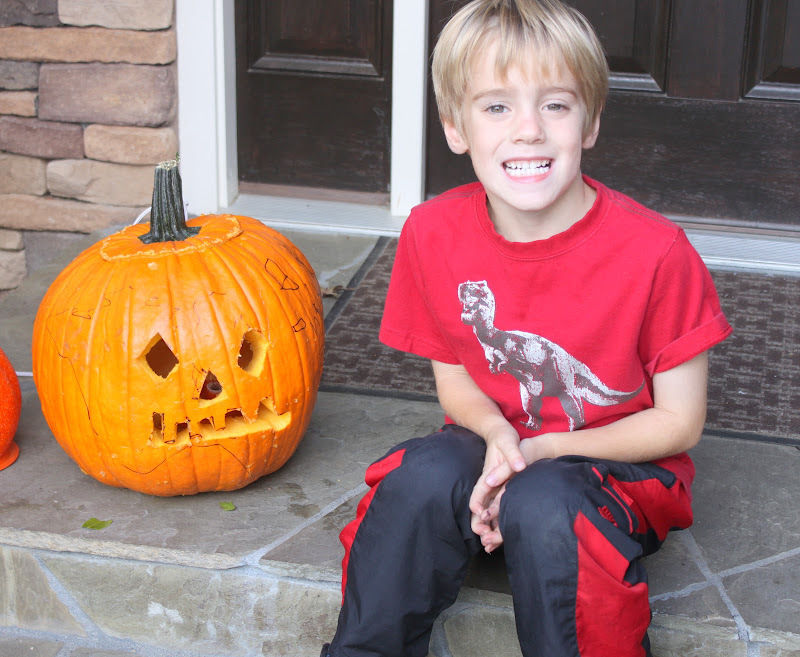 Marky designed his own pumpkin. Steve just helped with the cutting out. So grateful that Steve does the pumpkin carving. I get to just marvel at the finished project.